Please join us for our quarterly YAC Power Breakfast. We will be welcoming our guest speaker Ms. Lynn M. Eviston, Director of Plans and Programs, Air Life Cycle Management Center. This will be a great opportunity for anyone within government or industry to have in depth dialogue with a local government leader and mentor as well as network with other professionals within the local market. Ms. Eviston began her career with the Air Force in 1985 as a Financial Specialist at the Aeronautical Systems Center, Wright-Patterson Air Force Base. 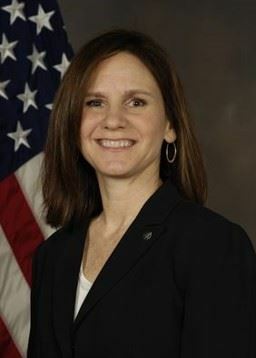 During her career, she has held progressively more challenging jobs in financial management, serving as financial specialist on diverse platforms such as the B-1B Engine, Alternate Fighter Engine Option, B-2, Combat Talon II and CV-22. She currently assists the Commander in leading the single center responsible for total life cycle management covering all aircraft, engines, munitions, and electronic systems. RSVP: Please email Kameke Mitchell at kameke.mitchell@gmail.com to RSVP for the event. Please RSVP by COB on Thursday November 3rd.